Greetings residents of Village Grace Condominiums in Chaska! Welcome to the official project page for the interior painting project. We are so glad you found us! "The repairs, preparation, painting and cleanup have been done with professional attention to detail. My opinion Roell was the right company." I am sure many residents are surprised at the large amount of repair & patching required for this project. A good investment, looking crisp and smart." I also think it is looking great. When I got home last night I saw that the tape removal had pulled away some of the new paint job. I came out this morning, and ALL FIXED! These guys are awesome! if a job is well done...a pat on the back an a firm handshake is in order. Tuesday, January 23rd: After the snowstorm of the season caused delays city-wide, the fearless men donning the Roell Painting whites braved the elements and arrived back onsite at Village Grace to pick up right where they left off yesterday! If things go according to plan, we should wrap things up tomorrow, then we will walk through and perform final touchups! We want to take a moment and thank Alex for calling us yesterday about plowing schedules. Thanks to you Alex, we narrowly averted the dreaded "snow tow." While we are to be leaving the friendly confines of aptly named Village Grace, we are thrilled to be leaving it looking pretty darn sharp if we do say so ourselves! Have a great night and safe travels throughout the city! Marvin receives orders from HQ..."Marvin - use the 18" roller, the coverage is spectacular."" Monday, January 22nd: Why is the number 7 on our minds this morning? Well for starters, it was the play that extended the Vikings season (Buffalo Right, Seventh Heaven), it was the Vikings point total in the NFC Championship (sigh), it is in the range of projected snowfall over the next 24 hours. All too familiar with postseason disappointment, the only thing we can do is pull the ol' bootstraps up and get back to work, and that's just what the guys are doing today at Village Grace. As accent colors get applied on 3rd/2nd floors to round out the overall aesthetic, the team continues to work diligently on 1st floor and we are on schedule to complete the project midweek this week. After the bulk of the project is complete, your job supervisor Jesse will walk through the hallways and mark any necessary touchups. We can't thank the entire community enough for their cooperation throughout the project. It's been a privilege working with you! Perhaps you've seen Jesse roaming the halls at Village Grace as he makes his quality control inspections. 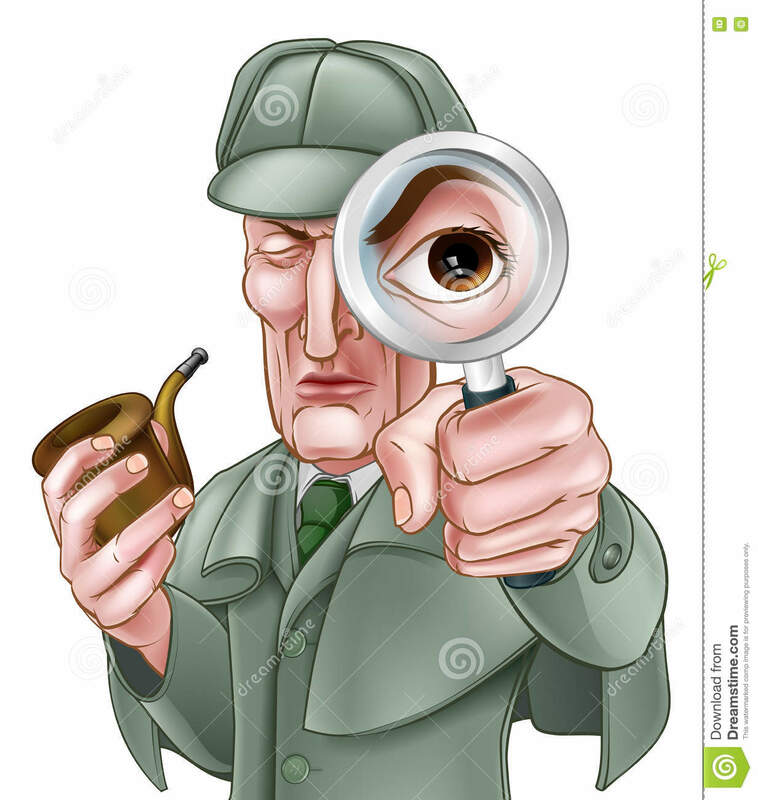 Come midweek, he'll be in full sleuth mode going over the project and making sure everything is up to snuff! Sunday, January 21st: Good morning Village Grace. We hope you are as excited about the day's events as we are and we implore you to pull out all the stops as we cheer on our Minnesota Vikings. Perhaps you have a lucky sweater you've owned since the days of Carl Eller and the heralded and feared "Purple People Eaters." If that is the case, for goodness sakes, no matter how tattered it may be, WEAR IT!!! While we await kickoff with great anticipation, we also await another Minnesota staple - the prospect of a signicant weather event! With the probability of our largest snowfall of the season looming, we wanted to give you the heads up that if the forecast comes to fruition, it's highly likely the fellas will not venture out into the elements on Monday. If that is the case, work will resume on Tuesday. Stay tuned right here for schedule updates. Friday, January 19th: SKOL!!!!! As we approach the weekend with our collective breath held and cautious optimism (if there's wood nearby, PLEASE knock on it), the gang at Village Grace is plugging away with blinding efficiency. As we work on creating accents on the 3rd/2nd floors, prep work is underway on the 1st floor, and the crew will repeat the same sequence on 1st floor as on 3rd and 2nd floors. No need to re-invent the wheel, if it ain't broke don't fix it...etc.... The boys will take a well deserved rest over the weekend and return onsite Monday to resume beautifying your hallways! Mauricio is all smiles as he cuts in around the signage and and envisions a Harry the Hit Man Pick Six! Marvin measures the accent bands in the alcoves to ensure crisp, straight lines. Measure twice, paint once!!!! This is how Francisco Rolls at Village Grace! Thursday, January 18th: The mercury is rising outside, along with the spirits of Minnesota residents statewide! It's a balmy 24 degrees ABOVE zero at press time and we are dreaming of T-Shirts, shorts, and if you are Rafael Nadal, men's capri pants. But alas, we are laser focused on the task at hand and making steady progress at Village Grace. Special thanks to Sam for her ongoing expert color consultation and once again to the residents for their courteousness and patience as we work away! Work will continue through the end of the week and resume on Monday...having not encountered any unforeseen circumstances as of yet, we are projecting an on time completion date of mid next week! In other words, it won't take a Minneapolis Miracle to finish the project on time! Jose deftly navigates the edge, A la Stefon Diggs last Sunday against the Saints as time expired! Wednesday, January 17th: The White Knights arrived on sight in spite of the bite of winter's night! Not only are we artists with a brush in our hand, but we don't mind dabbling a bit in what we'll call "painter poetry." We are thrilled to be getting things underway at Village Grace and even more thrilled to be working with such colors as "Exclusive Plum." You might even say we are dancing for joy at the thought of applying such fun colors! Work is being performed simultaneously on second and third floors and we want to thank the residents for their cooperation in clearing the way for the crew to do their thing! It should make a for a very productive week! Nick and the Crew get things underway Wednesday morning @ Village Grace! Monday, January 15th: Hello residents of Village Grace in Chaska! Perhaps you've found your way to the project page by way of blue notices posted throughout your hallway. That's our "calling card" so to speak, alerting residents of our impending arrival. But the fine citizens of Village Grace need not fret...not only are the fellas in white garb and courteous, they are also pretty darn handy with brushes and rollers in their hands! The project will commence Wednesday and the team will start on the 3rd floor and make their way down to first floor. We will be painting your hallway walls, including the residence alcove walls. As the project gets underway, we kindly ask that residents exercise caution when traversing the hallways as there will be wet paint on the walls. Additionally, we kindly ask that if you have any personal belongings (signs/decorations, rugs/mats) outside of your residence door that you move those items inside during the project. We want to thank Alex and Gayle for all of their efforts thus far in faciltating the start of the project and we are excited to get things rolling (pun intended) on Wednesday. Stay tuned right here for updates to the project progress...we anticipate the project will take about 7-10 WORKING DAYS to complet. Thanks so much for having us!!! See you Wedesday!